Another day, another beauty post and today it's all about these three gems that have won my heart with their gorgeous packaging, beautiful finishes and overall amazing quality. If you caught my review, you would've read how utterly impressed I was with this foundation in each and every aspect so I won't go too in depth. 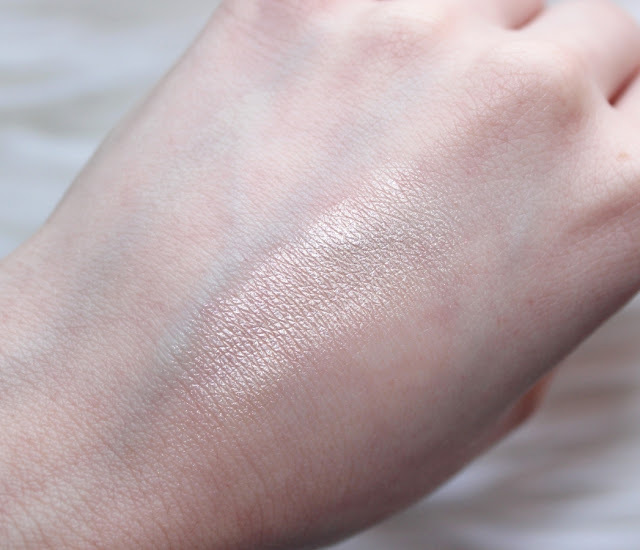 It gives my skin flawless coverage, it's water resistant and it feels ultra comfortable all day long. I simply cannot fault it in any way, and it is very much worth the hype as well as the high price tag. It really is perfection in a bottle and if you were to buy one thing this month, make it this foundation! Every time I whip this guy out, I still can't believe how inexpensive it is because the formula is so luxe and I fall in love with it all over again! The only way I can describe how it feels is velvet. 'Lunch Money' (a pale gold that works surprisingly well against my fair skin) isn't the most blinding of highlighters but you can build it up for that intense glow, and it sure knows how to make those cheekbones pop! I would forever repurchase this! I'm not going to lie, this was one of those products that sucked me in with its gorgeous packaging but can you blame me? 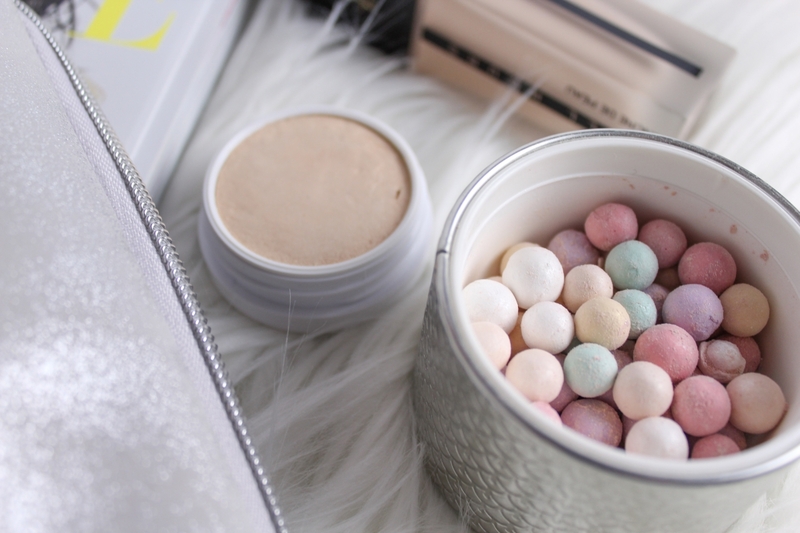 Not only is it the prettiest powder I own, it also smells heavenly! 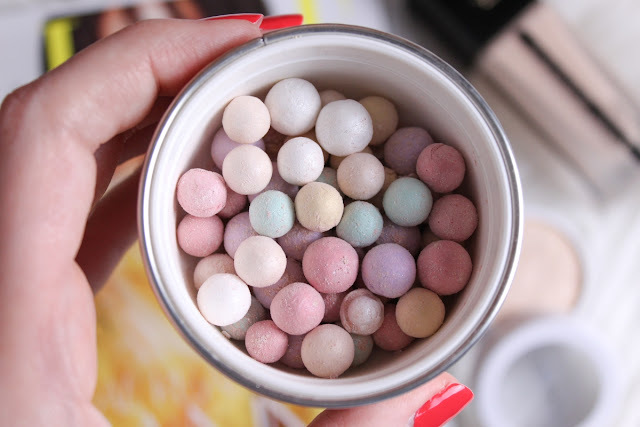 I gently swirl my powder brush into the pearls of goodness and lightly dust it over my makeup to set it in place, and it adds a lovely luminous finish to the skin. This powder is just a pleasure to use and it would make for a great gift or even yourself as a well deserved treat from you, to you. 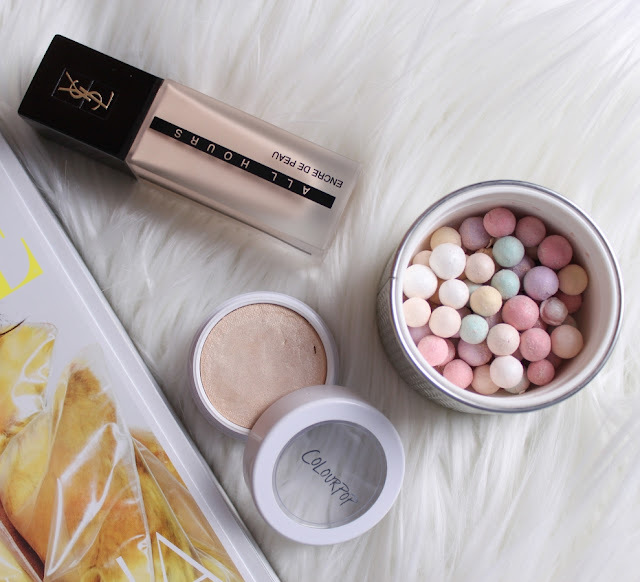 Haven't tried any of these, but that pearl powder looks so pretty!! Worth buying just for that!